U.S. Sen. Orrin Hatch, R-Utah, has said major college football should have an eight-game playoff. Washington (CNN) -- The Obama administration is considering a probe into the legality and fairness of college football's Bowl Championship Series and "the current lack of a college football national championship playoff." In a letter to U.S. Sen. Orrin Hatch, R-Utah, Assistant Attorney General Ronald Welch says the issue "raises important questions affecting millions of fans, colleges and universities, players and other interested parties." Hatch complained about the system to the Obama administration in October. The Justice official told Hatch on Friday the department is reviewing whether to launch an inquiry into the BCS system to see if any U.S. anti-trust laws are being violated. Hatch's office passed along the Welch letter to CNN. "Importantly, and in addition, the Administration also is exploring other options that might be available to address concerns with the college football post-season," said Welch, who noted along with Hatch that President Obama says the sport should have an eight-game playoff. The options include encouraging the NCAA to take control of the post-season as it does with other sports; "asking a governmental or nongovernmental entity or a commission to study the benefits, costs and feasibility of a playoff system;" requesting an examination by the Federal Trade Commission of the current system under consumer protection laws; looking into roles other agencies can play, and looking into legislative initiatives. There are 11 BCS conferences and five bowls, including a national championship. The champions of six conferences automatically qualify for BCS bowls despite their national rankings. In contrast, only one team from outside those six can earn an automatic berth. "Many believe the BCS is unfair to the conferences and schools that are not part of the automatically qualifying conferences," Welch said. "The typical result of this selection system has been limited participation by schools outside the six automatic-qualifying conferences, with such teams typically securing at most one slot, although this year, for the first time, two such schools, TCU [Texas Christian University] and Boise State were selected for a BCS bowl game." Hatch -- who has complained that the BCS system denies outsiders a fair chance to compete with major conferences -- was "encouraged" by the administration's response. "The current system runs counter to basic fairness that every family tries to instill in their children from the day they are born. 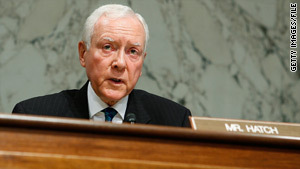 It is systematically unfair, jeopardizing students, players, education quality, ethics and true competition," Hatch said.